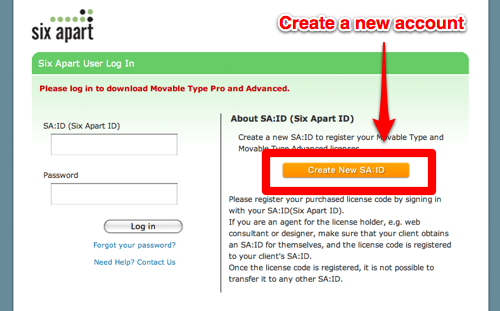 This tutorial explains how to register your license key and download a Movable Type package. 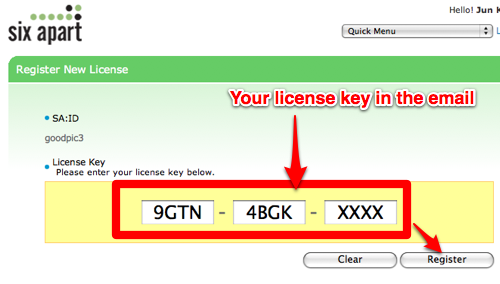 Once you purchased a new license, you will receive an email which includes a Movable Type license key. In order to download software, you need to register your license key on our software repository server. 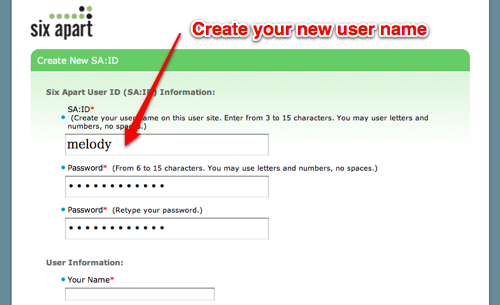 First, let's create your new account on the software repository server. Please fill in the form to register your profile. You will receive a confirmation email to activate your Six Apart ID. After sign-in, click Register License in the left menu bar. Input your license key and click Register. 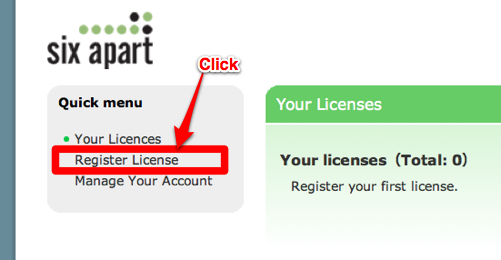 You will see your purchased license on Your Licenses section. 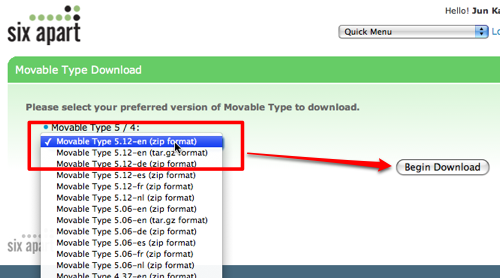 Select your preferred version of Movable Type to download. © Copyright 2019 Six Apart Ltd.